The Collectors Room at Grays Inn opened last Sunday night with a crowd of fifty people gathering for drinks (generously supplied by Noyce Brothers Wine) and for a superb selection of curries at Panino Restaurant. The evening was a lovely way to launch The Collectors Room. Thank you to all of those who made the night so special! Defiance Sculpture Park at the Gate Gallery is also looking stunning in the crisp weather. If you are thinking of making the trip, the sculptures in the autumn leaves make it an excellent time. 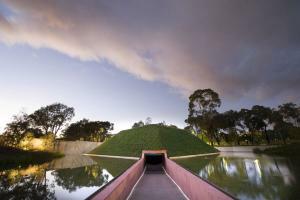 In conjunction with the Canberra centenary TOUCH: Sculpture and the land program, the Australian National University, Research School of Humanities and the Arts, the ANU School of Art and the National Gallery of Australia have collaborated to develop a broad ranging and fascinating looking sculpture symposium. The two day symposium presents national and international perspectives as a context for discussion about sculpture in Canberra and beyond. It brings together artists, curators and art writers to discuss sculpture in its various forms – public sculpture, sculpture parks, commissioned sculpture, sculpture galleries and works in collections. The Sculpture: Space and Place symposium will run between May 10-12 in the James O Fairfax Theatre and Gandel Hall at the NGA. Alongside special exhibitions at the Drill Hall and School of Art galleries and sculpture talks and walks around the city, this symposium looks to be a highlight of the Canberra centenary. 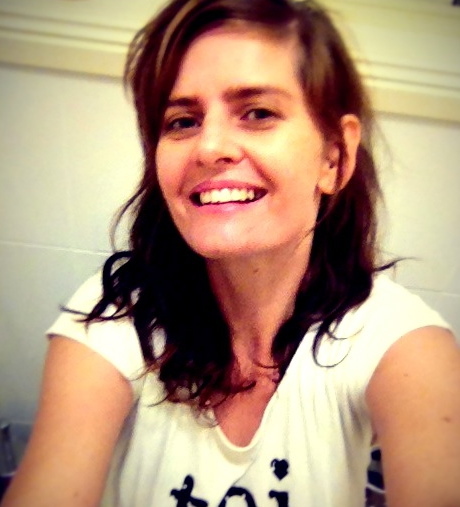 Defiance artist Tim Allen has a fantastic new blog! Keep up with his latest work here. The Defiance Gallery Newsletter for March is hot off the press! The April/May issue of Highlife magazine contains a full-page advertisement for Defiance Sculpture Park at the Gate Gallery with a very special offer. 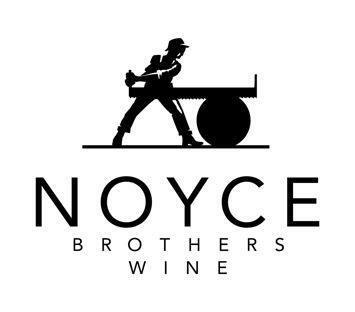 When you buy the magazine you can present the coupon from the ad to the Noyce Wines cellar door to receive a free bottle of their premium red or white wine. 2884 Wollombi Road, Wollombi NSW 2325. 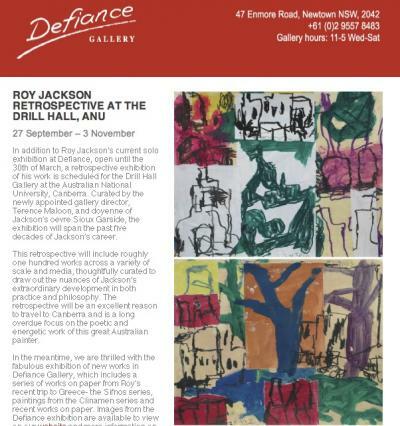 Roy Jackson's current solo show at Defiance Gallery has received a glowing review from John McDonald in the March 16 edition of Spectrum in the Sydney Morning Herald. The article is attached here for those who missed it in the paper. 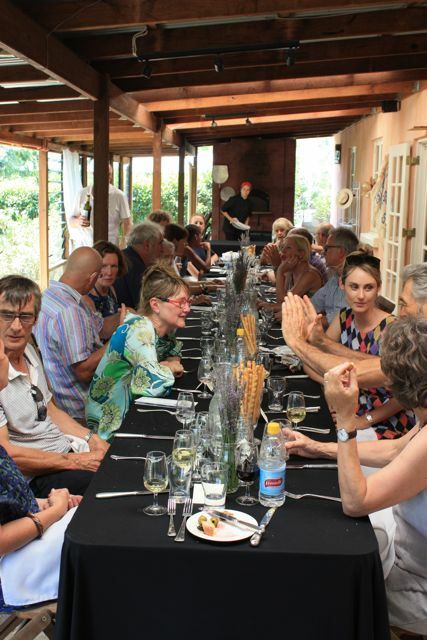 On 19th of January, a group of 25 congregated at the Gate Gallery Restaurant at Defiance Sculpture Park at the Gate Gallery, Wollombi for a superb lunch organised to coincide with a local screening of the acclaimed Australian film Newsfront. While temperatures soared to 47.5 degrees in the shade, artists, collectors and others across a broad range of creative industries joined director Phillip Noyce and writer David Elfick for a fantastic meal matched with Noyce Brothers wines. Surrounded by vistas of the sculpture park, the lunch was a celebration of the intersection of several vibrant cultural worlds and was a fascinating and memorable event for all who attended. Talented Defiance sculptor Dave Teer has been interviewed by Bridget Macleod in issue 22 of Artist Profile magazine. The 5 page interview is an intimate, engaging and eloquent insight into the philosophy and practice of this pioneering sculptor. It is an excellent read for those new to Dave's work and his adoring fans alike. The magazine is available in all good newsagents from today. Phillip King has a solo show in Apples, Switzerland. The show has been curated by Fondation Speerstra and is open until the 23rd of September. If you happen to be in the Lake Geneva region, then it's definitely worth a visit. Since its inception in 1993, The Dobell Prize at the Art Gallery of NSW has been an annual institution showcasing contemporary Australian drawing. This year, the judge Aida Tomescu selected just under fifty finalists, one of whom is Defiance's very own Tim Allen. His drawing Folded and faulted sediment III will be on display at the Temporary exhibitions gallery at the AGNSW between the 30th of November and 10th of February. After a successful preview over the weekend, the 17th Annual 6x6x6 Inch Miniature Sculpture Show Tiny Titans & Miniliths was officially opened last night by Patricia Anderson, editor of Australian Art Review. 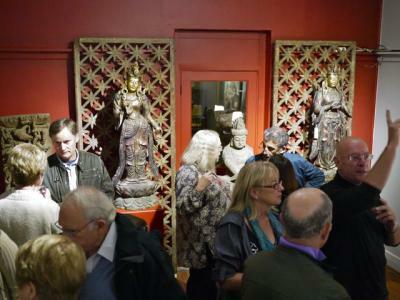 The gallery was buzzing as the winners of four prizes were announced. The Normyle Artist Residency in Maffra near Cooma is a 2 week residency set in the beautiful landscape of the Monaro. We are pleased to announce a new prize this year- The Borton Family Sculpture Prize. The prize is for $2,000 and is acquisitive. The Borton’s are wonderful supporters of Defiance Gallery and have a great eye for sculpture. This year The Defiance Gallery Miniature Sculpture Prize for $2,000 was selected by Patricia Anderson, Editor of Australian Art Review. The Lady Nock Sculpture Prize for $2000 will be announced in the next few days on the Defiance Gallery website and on facebook. The judge is travelling and has not yet chosen the recipient. The show this year looks fantastic. Thanks to all of the artists who put so much thought, time and energy into their works. 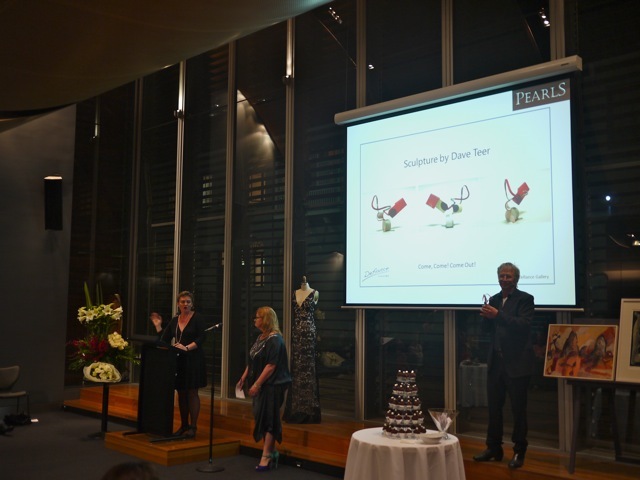 The Annual PEARLS took place at The Sydney Mint last night and was the most successful Charity Auction in the organisation’s history. The PEARLS auction raises money for vital research into the cause and the early detection of Preeclampsia, which affects 1 in 10 women in pregnancy. The PEARLS research team, under the auspices of the Royal Prince Alfred Hospital and Campbelltown Hospital are the world leaders in their field, working towards a system of early detection through screening. Our MC for the evening was the delightful and entertaining Alex Perry. Anne Phillips, Head of Art at Bay East Auctions auctioned 50 items with great panache. Dr Annemarie Hennessey presented an update on the scientific research and progress her team has made and Dr Vijay Roach gave a heartfelt and beautiful speech about his personal family story with preeclampsia which provided great insight into the real effects of the condition after leaving hospital. Peter Godwin, Euan Macleod, Tim Allen, Richard Morecroft, Daniel Kyle and Charmaine Pike kindly donated the artworks for the auction. These works all received healthy bidding and, together with the silent auction and the highly anticipated Pitch for a Pearl (match of quoits) sponsored by Raphael Jewellers, raised a staggering $66,000! Thanks also to Luccio Galleto OAM who donated a copy of his book ‘The Art of Pasta’ and Noyce Brothers wines who supplied a selection of bottles for the evening. Congratulations to Charmaine Pike and Tim Allen who were both selected as finalists in the Norvill Art Prize. Arkaroola Gorge II by Tim was Highly Commended. The exhibition is open to the public this weekend, the 27th and 28th of October at the Murrurundi Hall. 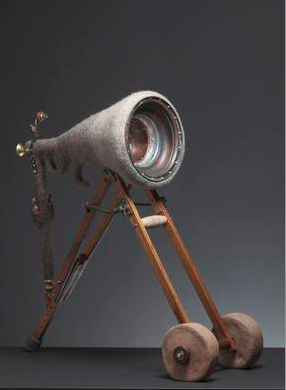 Anita Larkin has had her work Weapon of Mass Deception included in the 2012 Woollahra Small Sculpture Prize. She is on of 42 finalists chosen from 494 entries. Awards are yet to be announced, but the exhibition will be open between Saturday the 27th of October and Wednesday the 11th of November. 536 New South Head Road, Double Bay. Tim Allen and three other Blue Mountains local artists; Michael Herron, Leo Robba and Rhett Brewer exhibit work painted in the beautiful National Trust garden, Everglades. The show looks excellent and is well worth a springtime visit to Leura. Everglades Garden Gallery: 37 Everglades Avenue, Leura, NSW. 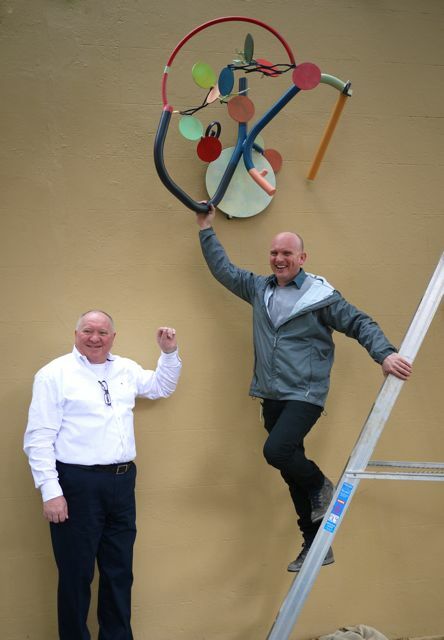 On Tuesday Dave Teer’s large outdoor wall sculpture ‘Early Spring Moon,’ was installed outside Lucio’s Italian Restaurant at 47 Windsor Street, Paddington. It caused quite a stir and the crowd that gathered loved the new addition to Lucio’s collection. The piece looks great in its new home- pop by and have a look! 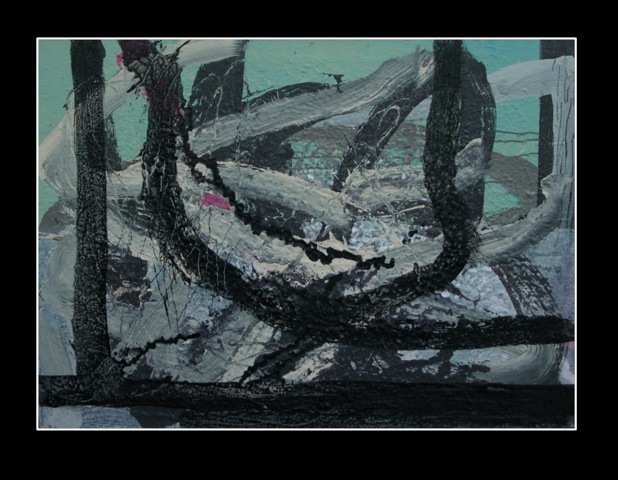 Tim Allen, Daniel Kyle and John Reid have been selected as finalists in the Paddington Art Prize. 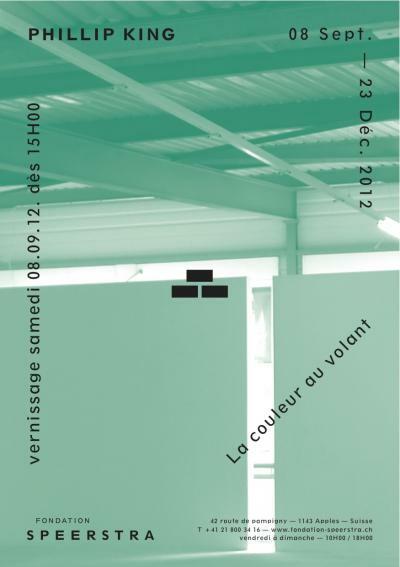 The exhibition will open on Wednesday the 28th of November and will close on the 9th of December. Be sure to put it in you diary! 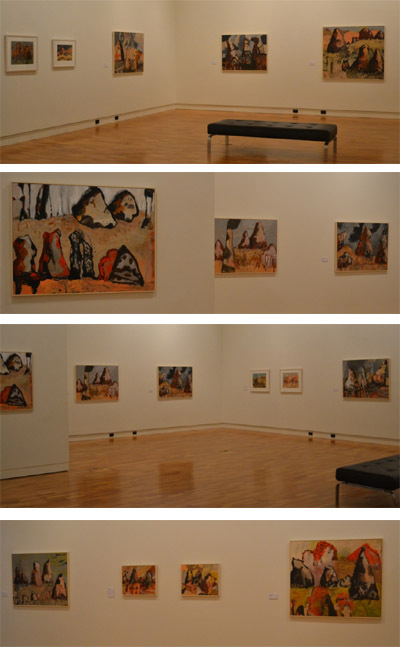 Charmaine Pike is currently exhibiting her recent works in a solo show at Tamworth Regional Art Gallery. Defiance Director Campbell Robertson-Swann opened the exhibition on the 21 July and it runs until the 25 August. The show looks great and is well worth a visit. 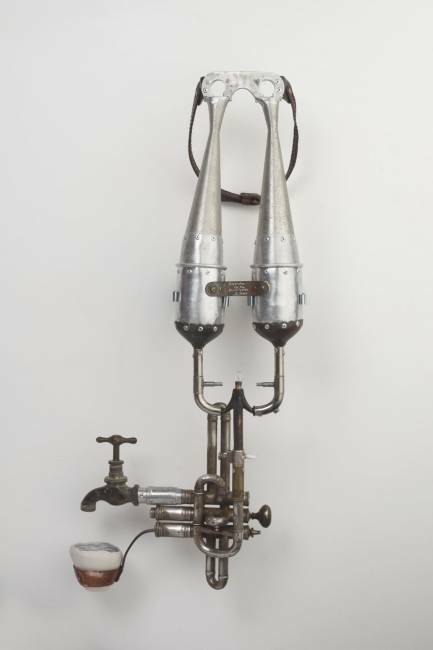 Anita Larkin’s work Apparatus for the Repatriation of Tears has been chosen for the 5th Beijing International Art Biennale. The show will include around 600 exhibits based on the theme Future and Reality. The Biennale opens on the 28th of September 2012, at The National Art Museum of China, Beijing, and closes 22nd October 2012. Congratulations Anita! Roy Jackson’s work is currently on show in the group exhibition Stand Up Close at Wollongong City Gallery. 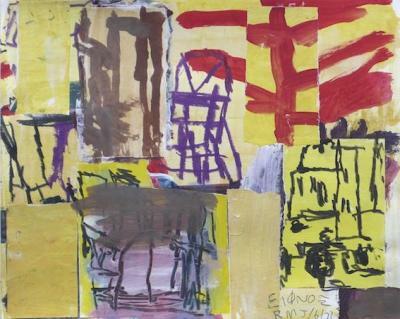 This exhibition is in memory Ron Lambert, tracing the influential artist and teacher’s legacy by including works from artists who shared a connection with him from 1972 - 1995. The exhibition also includes work by John Bartley, Audrey Bernays, Judy Bourke, Dave Brewer, Vivienne Ferguson, Paul Higgs, Robert Hirschmann, James Jones, Edith Kouto, John Paul Marsh, Kathryn Orton, GeoffreyRussell, Evan Salmon, Merrilee Swan, Judith Weeks, Nick Zaharias. 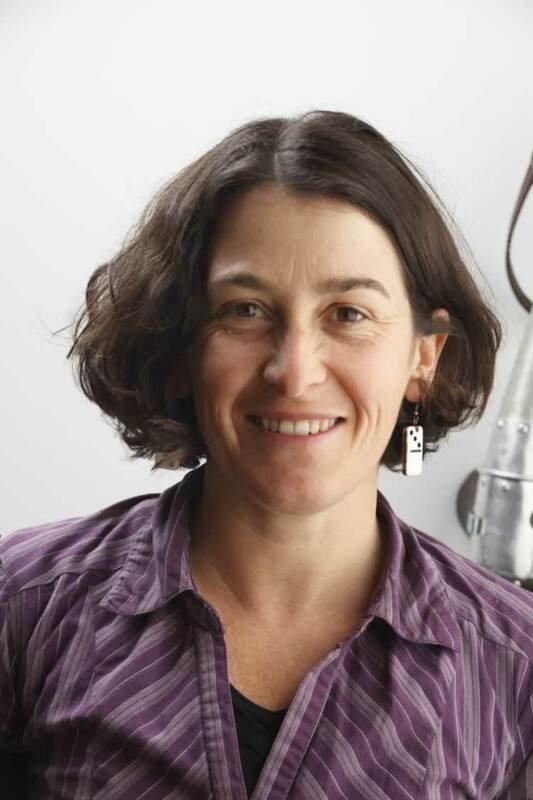 Anita Larkin’s work will appear in the book Worldwide Sculpture Volume 2, presented by Best of Artists. The book is due to be published in July and will be available from http://www.bestofartists.com/. 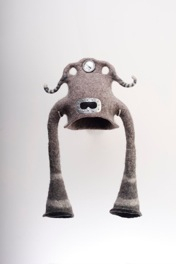 Anita Larkin’s work, Speak to me of Things Unknown, has been included in the travelling felt art exhibition The Climate is Changing! at the Musee du Feutre de Mouzon, France on show 2 July - 23rd September 2012. This exhibition explores the impact of human actions on the environment, and how individual artists have responded to this theme. From 172 proposals from 20 countries, Anita’s work was one of 50 works chosen. 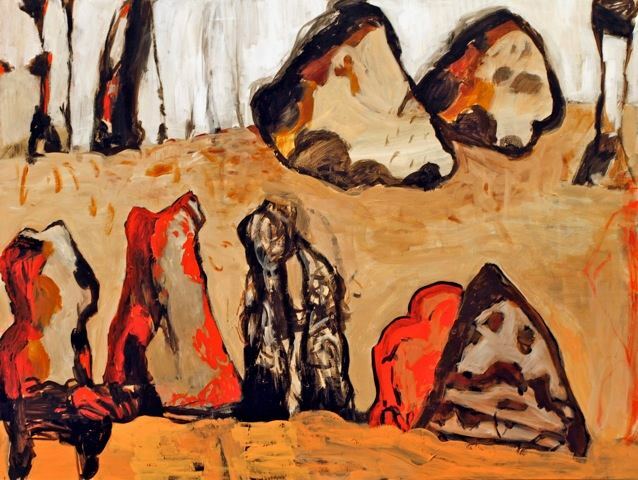 A selection of works from the artists that exhibited in Larapinta – From Alice Springs to Glen Helen at Defiance last December are travelling to Moree Plains Regional Gallery. In June 2011 17 artists flew to Alice Springs for a 10 day expedition on the Larapinta Trail through the West MacDonald Ranges. This exhibition offers a compelling look at the works created en plein air in the ancient and iconic landscape and back in the studio. The show includes works by Defiance artists Tim Allen and Charmaine Pike, alongside Michael Ambriano, Angeliki Androutsopoulos, Alison Chiam, Carmel Cosgrove, Michelle Hungerford, Steve Lopes, Euan Macleod, Michael Nock, Leo Robba and Judith White. Russell McQuilty’s 2002 sculpture Out Turn will be exhibited in the upcoming exhibition Less is More – More or Less at the Shoalhaven City Arts Centre. This exhibition features a series of works from the collection of M.G Dingle and G.B Hughes. 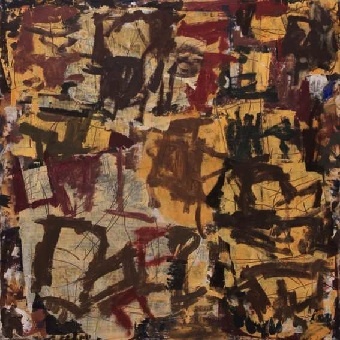 It shows works from the 1960s through to the current day, by a host of renowned and critically acclaimed artists, all of which have roamed across historic styles and chosen influences to assist in capturing a mood, essence or sense of place while exploring the realms of minimalist art. It also includes works by Virginia Coventry, Elizabeth Cummings, Margaret Dredge, Vivienne Ferguson, David Horton, Tim Maguire and Aida Tomescu. 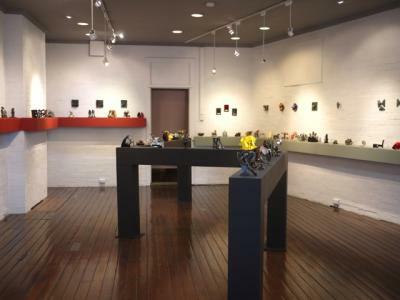 Less is More – More or Less, Shoalhaven City Arts Centre, Thursday 5 April – 3 May 2012.